The St. George Community Development Corporation with Spectrum Generations will be hosting a Medicare Enrollment Assistance program. Registration is required and each session will run for approximately 30 minutes. To register, please call 207-372-2193. Appointments will be held at the St. George Community Development Offices at 47 Main Street on November 8th. Brook Jansen, Aging and Disability counselor for State Health Insurance Assistance at Spectrum Generations, will be assisting St. George residents with enrollment. 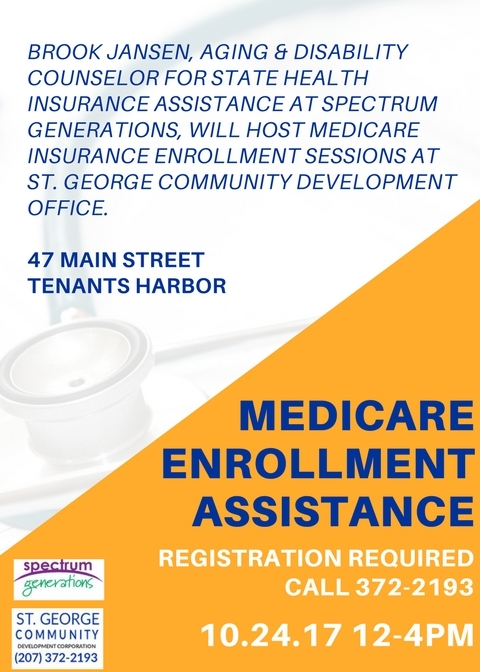 The St. George Community Development Corporation with Spectrum Generations will be hosting a Medicare Enrollment Assistance program. Registration is required and each session will run for approximately 30 minutes. To register, please call 207-372-2193. Appointments will be held at the St. George Community Development Offices at 47 Main Street. 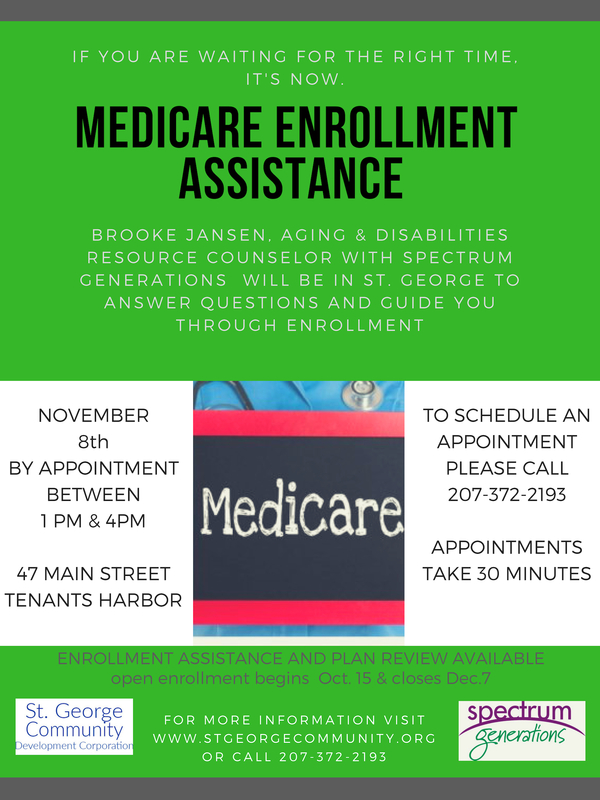 Brook Jansen, Aging and Disability counselor for State Health Insurance Assistance at Spectrum Generations, will be assisting St. George residents with enrollment.